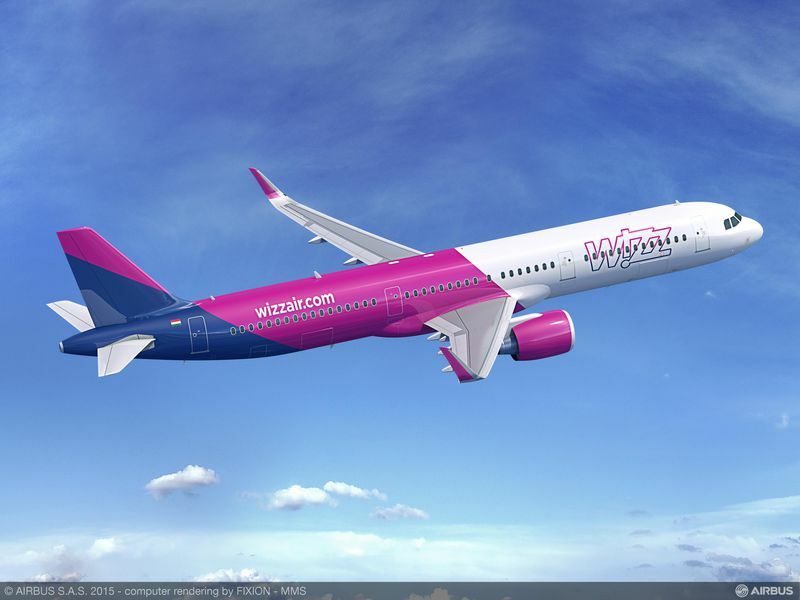 Wizz Air, the largest low cost carrier serving Eastern and Central Europe, has signed a Memorandum of Understanding (MoU) for the biggest single order for the popular A321neo aircraft. The deal signed at the 51st Le Bourget International Paris Air Show pushes NEO orders and commitments beyond 4,000. Significantly the order includes the latest A321neo Airbus Cabin Flex configuration with 239 seats in 18 inch comfort standard. Currently Wizz Air operates 61 aircraft on one of Central and Eastern Europe’s most extensive networks with over 380 routes from 22 bases. The A320neo Family aircraft offers the lowest operating costs of any single aisle aircraft delivering 15% fuel burn reduction at entry into service, and 20% by 2020, achieved through cabin innovations, latest engine technologies, and overall efficiency improvements. With one aircraft in three sizes (A319neo, A320neo & A321neo), the A320neo Family, seating from 100 to 240 passengers, seamlessly covers the entire single-aisle segment from low to high-density configurations on domestic to longer range routes. To date, the A320 Family has won more than 11,700 orders and over 6,500 aircraft delivered to more than 300 operators worldwide.